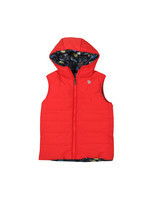 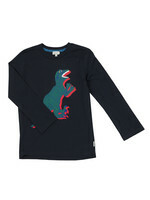 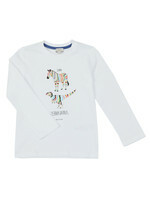 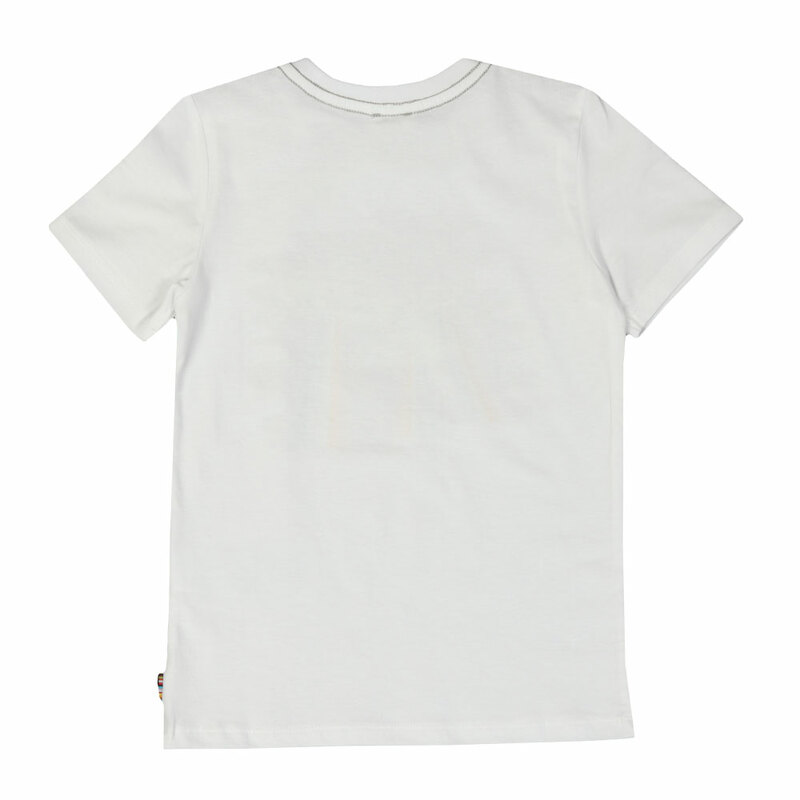 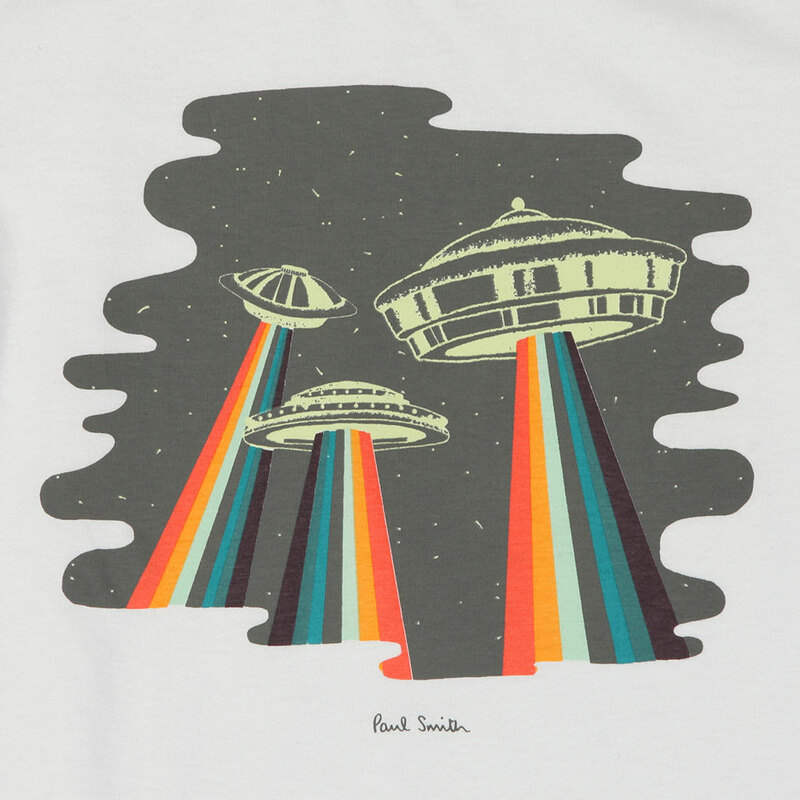 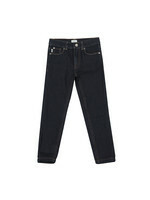 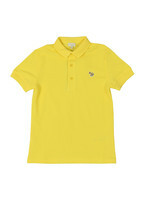 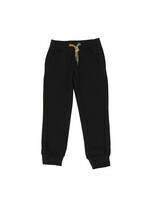 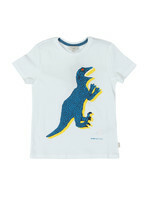 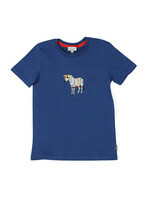 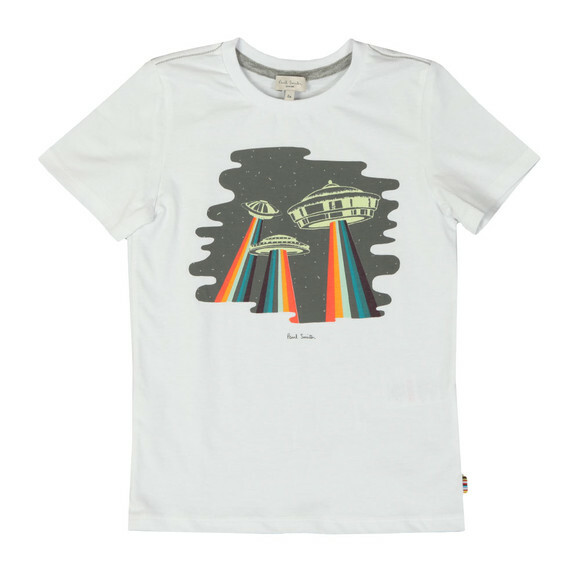 Paul Smith Junior Glow In The Dark UFO T Shirt in White. 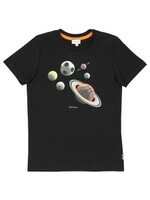 This t shirt is the coolest of cool ! Made from soft cotton and given a crew neck, then finished with a large chest pattern with 3 Glow In The Dark UFOs shooting strips of colour.